In my student days, like most of my peers, I was pretty poor. America was/is a shopping paradise but for me in 1994 and 1995, spending money was in fairly short supply. In contrast, and on Camp, the kids and their families were some of the wealthiest people I have ever met. To be honest, I look back at the pictures from the time and have to state that my clothing in most shots was pretty poor – faded, old, and stylistically concerning (particularly in the case of the short shorts)! Still I also had long hair and a beard at times so the clothing may not have been my biggest appearance challenge! 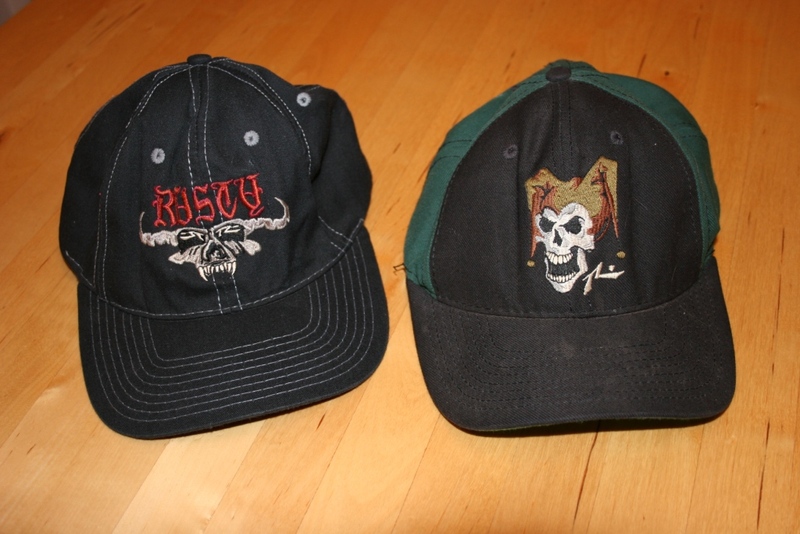 For me, aside from photographs, mementoes of my trips were important and so I spent my limited funds on tee shirts and baseball caps that in effect traced my journeys around the country. 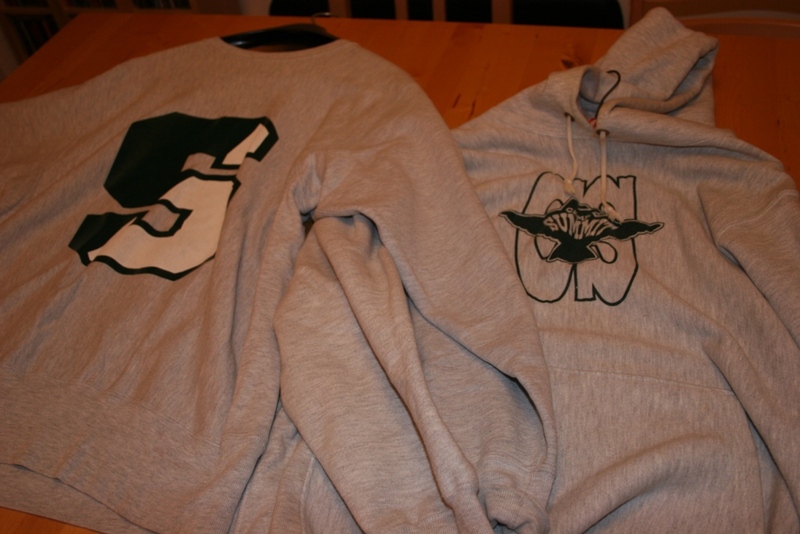 An advantage with the clothing purchases was that I could throw my tired old stuff away. In terms of tee shirts, plain round neck cotton shirts were purchased from various tourist locations like the Hard Rock, Planet Hollywood and the Harley Davidson cafés in a number of cities. 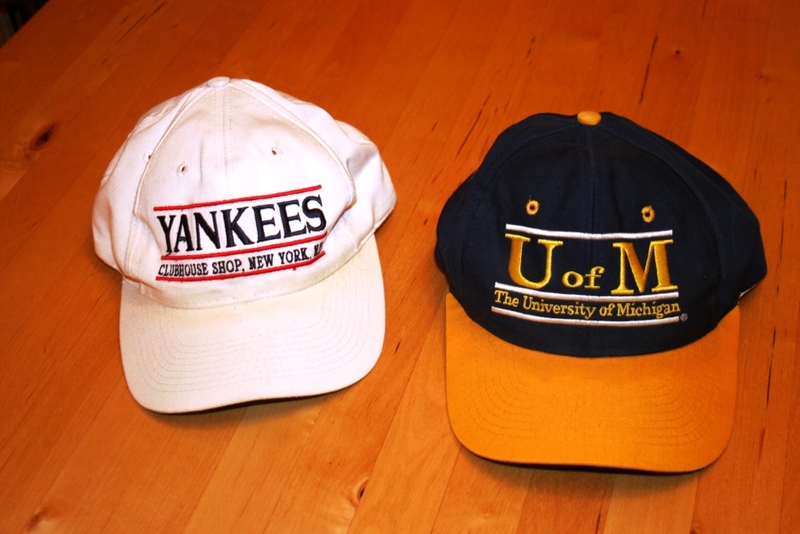 The tee shirts all got worn until they fell to pieces but the baseball caps survived and I still own many of them now. These include caps from the University of Michigan, the Yankees Clubhouse Shop, Wayne State University and Camp Summit. A few are pictured! 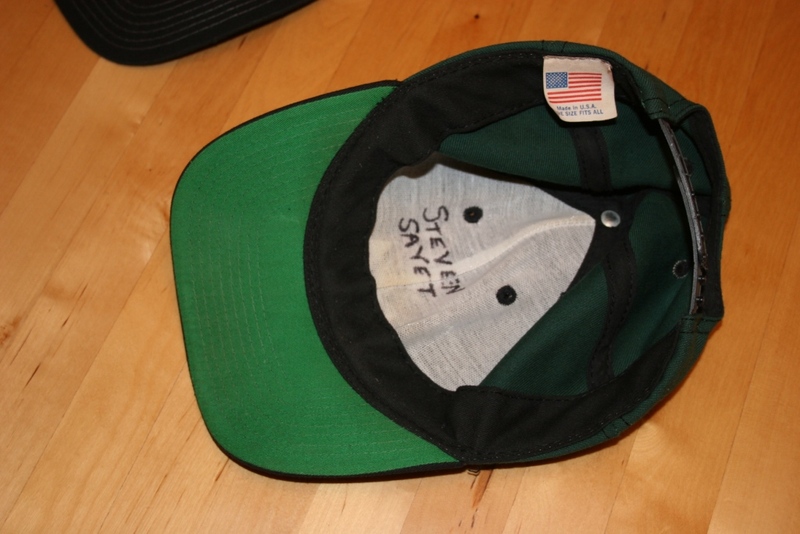 Steven Sayet, one of the youngsters I looked after on Camp gave me a few of his baseball caps between 1994 and 1995 and I am sure he’ll be pleased to know that they are still in use too. Stevie you get a name check and a photograph you might appreciate! Your name inside these caps is still clear! 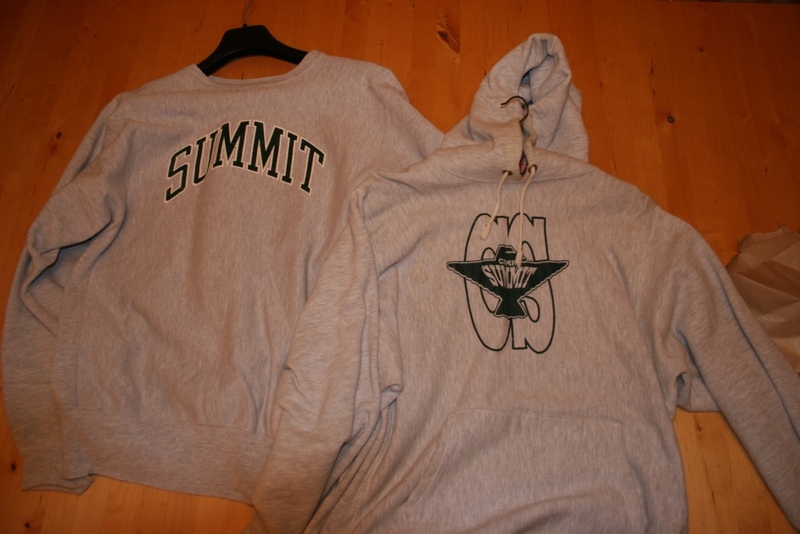 Finally on the clothing topic – I still have a few Camp Summit related sweatshirts. The picture shows my general Summit and Thunderbird specific tops. These things still fit too! I wonder how many of these tops still exist?